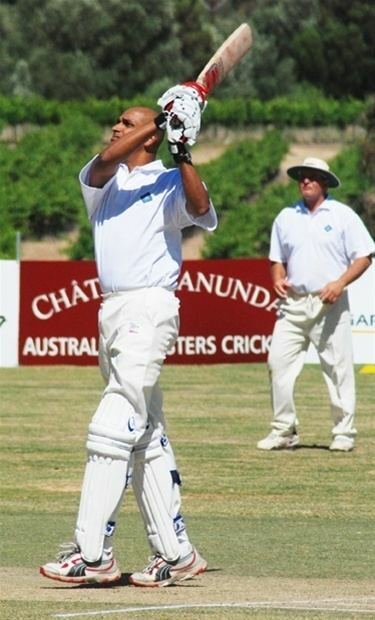 Maitipage Athula Rohitha Samarasekera (born August 5, 1961 in Galle) is a former Sri Lankan cricketer who is currently working as a cricket coach in Australia. He was a hard hitting opening batsman and a medium fast bowler, who played four Tests and 39 ODIs between 1983 to 1994. 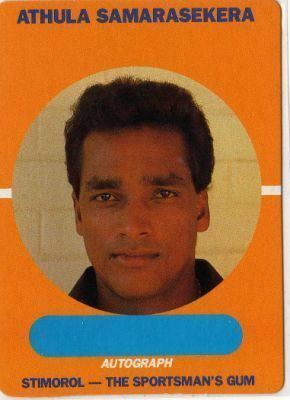 Samarasekera was a member of the Sri Lankan cricket teams participated for the cricket world cups in 1983 and 1992. His elder brother Anura Samarasekera was also a first class cricketer in Sri Lanka. Athula Samarasekera started his cricket career at Mahinda College, Galle, where he had his education. He captained his college cricket team at the annual Richmond–Mahinda Cricket Encounter in 1981. Then he joined the Colombo Cricket Club, where he subsequently became a permanent fixture of the team. 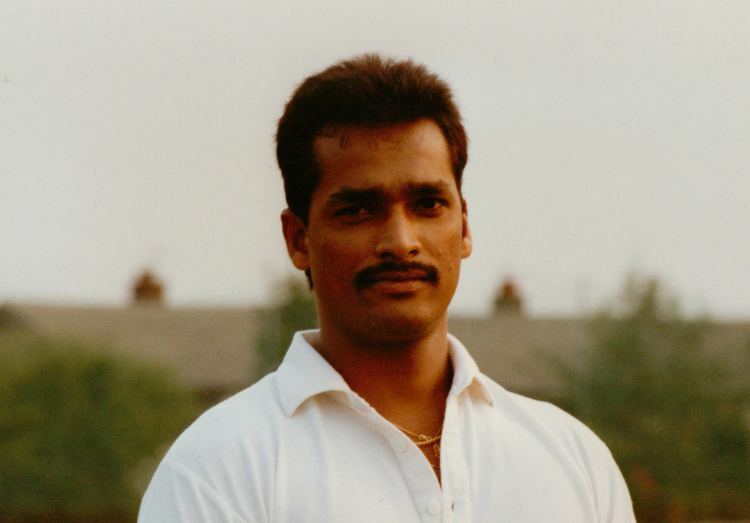 Samarasekera made his One Day International debut at Swansea against Pakistan during the 1983 Cricket World Cup and made his Test debut 5 years later against England at the Lord's in August 1988. He scored a half century in the second innings of his first test and took three wickets in the match, though Sri Lanka went on to lose the game by 7 wickets. Samarasekera was one of the first openers to successfully take the advantage of field restrictions by hitting air-borne shots in ODI cricket. His most memorable ODI performance came in the 1992 cricket world cup, when he scored a brisk 75 against Zimbabwe, reaching his half century in just 31 balls in the first ever successful run chase of over 300 runs in ODI history. Tall and correct, he was an aggressive batsman and more than handy bowler, but failed to make his mark in international cricket with the limited opportunities he got. 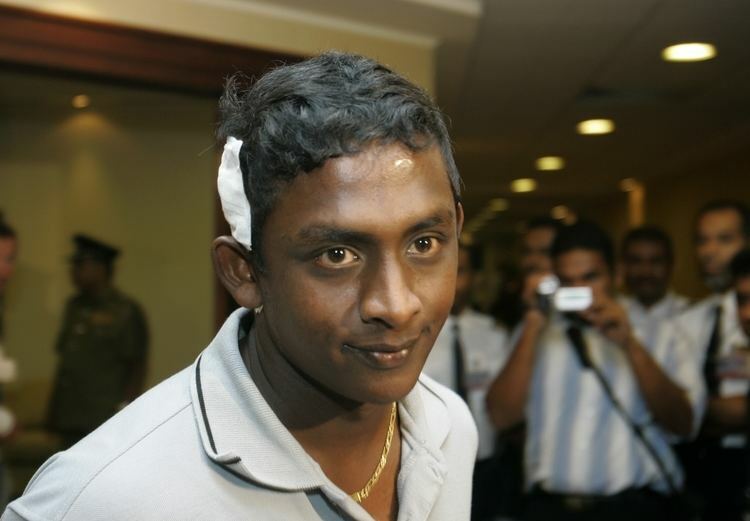 Samarasekera chose to end his international career in 1994 by deciding to take up professional cricket in Bangladesh, since he never had the opportunity to fully establish a permanent position in the team. Athula now lives in Hampton Park, a suburb of Melbourne. He and his wife Thilani have two sons, Sikhi and Seth, and a daughter, Seenai. He coaches young cricketers in the arts of batting and bowling.